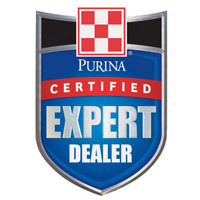 A comprehensive line of beef cattle minerals designed to correct the mineral deficiencies of the available forage in a palatable, weather-resistant, granular formula. 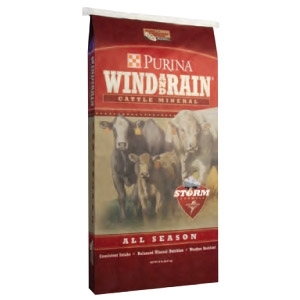 Wind and Rain® STORM™ cattle minerals’ large particle size and special formulation keeps the mineral from absorbing water and blowing out of the feeder. TheSTORM™ formulation provides the ultimate in weather resistance reducing waste and making Wind and Rain STORM™ Formula a smart and economical choice to feed minerals to beef cattle. Click here for guaranteed analysis and more information.